Many institutes are housed in buildings near a college campus, but in areas without an institute building, classes can be taught in campus classrooms, ward meetinghouses, homes, office buildings﻿—pretty much anywhere people can meet. 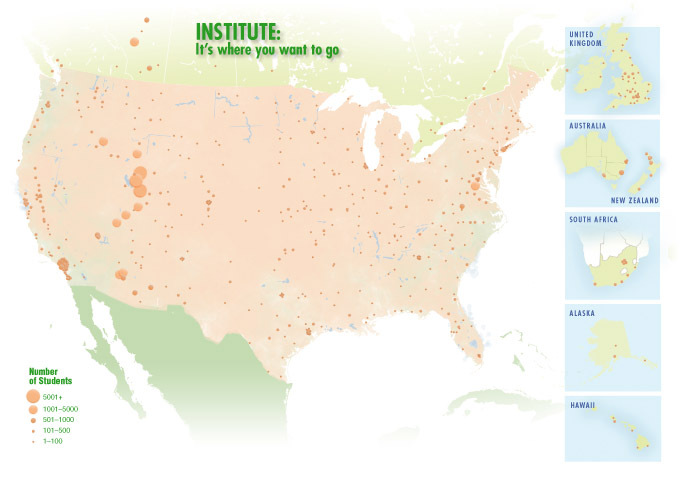 You can find an institute near you by using the online Institute Locator. Go to ldsces.org and click on Locate an Institute.